Want to make your shopping turn into charitable giving at no additional cost? Choose Trinity Episcopal Parish as your charity for Amazon Smile, and we receive a percentage of your purchases! Go to smile.amazon.com to get started! AmazonSmile is an Amazon-operated website that lets customers purchase the same products, low prices, and convenient shopping features as on Amazon.com. The difference is that the AmazonSmile Foundation donates 0.5% of the price of eligible purchases to the charitable or­ganizations selected by customers. To shop at AmazonSmile simply go to smile.amazon.com from the web browser on your computer or mobile device. On your first visit, you must select a charitable organization. We will remember your selection, and then every eligible purchase you make at smile.amazon.com will result in a 0.5% donation. No, the charitable organizations and the customers are not charged any extra cost. The shopping experience is identical to Amazon.com. Eligible products are marked “Eligible for AmazonSmile donation” on their product detail pages. Recurring Subscribe-and-Save purchases and subscription renewals are not currently eligible. 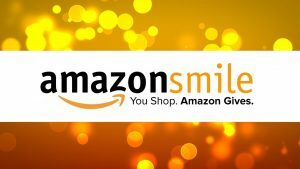 On your first visit to AmazonSmile smile.amazon.com, you need to select a charitable organization to receive donations from eligible purchases before you begin shopping. Yes, you can change your charity any time. To change your charity, sign in to smile.amazon.com on your desktop or mobile phone browser and simply select Change your Charity in Your Account.